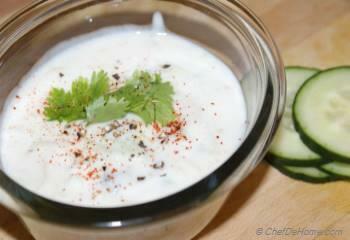 Raita is cucumber-yogurt sauce used as a cooling balance for spicy dishes. This famous Indian raita is flavored with grated cucumbers along with hint of red peppers and cilantro. 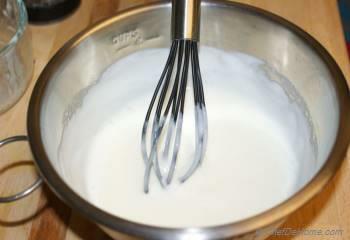 This is one of hundred variations of savory yogurt raita which is cool and refreshing. This serves as an excellent side dish with hot indian curries. 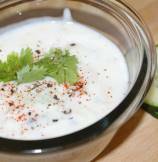 Let your guests mix raita with their rice and curry to cool the spiciness. 2. Peel and grate or finely chop cucumber. If you like, Squeeze the excess water from cucumber. 3. 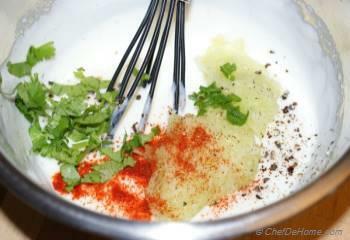 Add salt, sugar, red pepper, black pepper(optional), gratted cucumber, chopped green pepper (optional), cilantro to yogurt and mix well. 4. 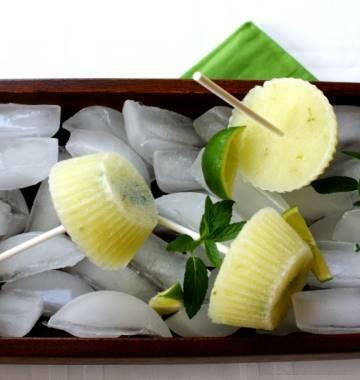 Serve it chilled with Rice Or Curries or refrigerate till ready to serve. I think I have all these ingredients at home today. 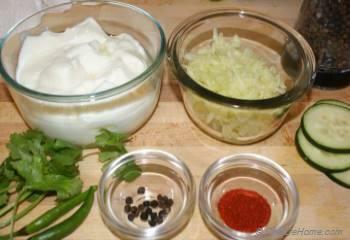 I will try making Cucumber Raita. 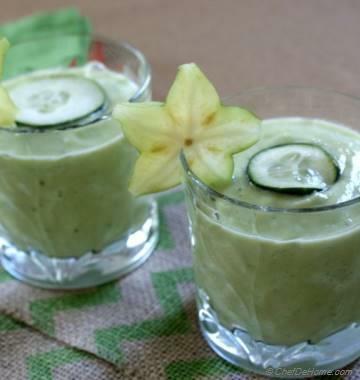 I love Cucumber raita. My all time favorite at Indian Eating Places. 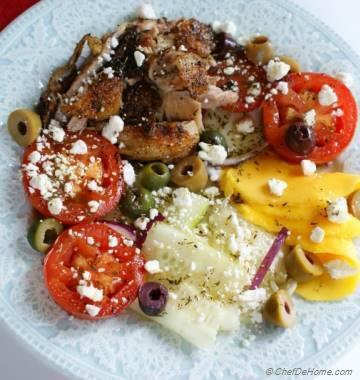 Love this recipe, I can try it at home now.